Walraven van Hall, also called "the Banker of the Resistance", was one of the greatest Dutch resistance fighters during World War II. With inventiveness, cleverness and help from others he managed to create a financial construction with which he provided a great contribution to the Dutch resistance. The Nationaal Steunfonds (National Support Fund) he founded, was during the war occupied with the support of thousands persons who were victim of the German occupation, the fund also supported numerous other resistance activities. 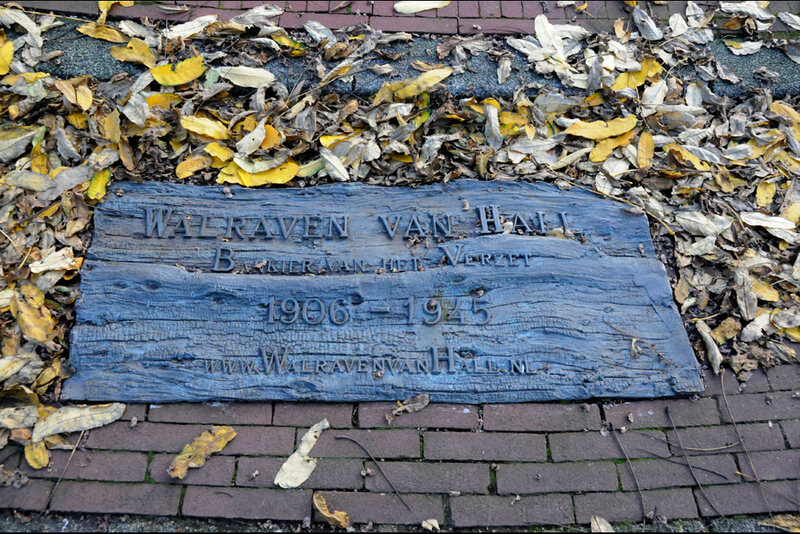 Walraven van Hall was arrested by the German and executed on 12th February 1945. 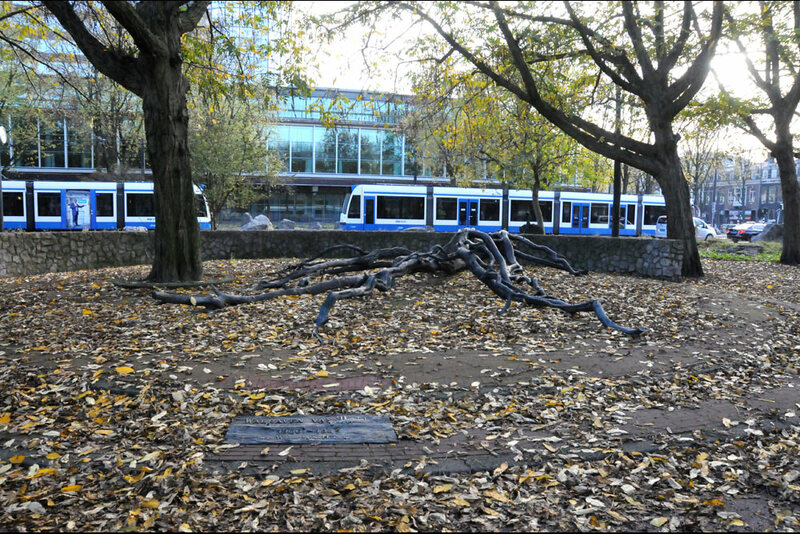 On September 3rd 2010 in honor of Walraven van Hall a monument was revealed on the Frederiksplein in Amsterdam. It is situated next to the Dutch Central Bank where Walraven van Hall, in favor of the resistance , organized the largest bank fraud in Dutch history. 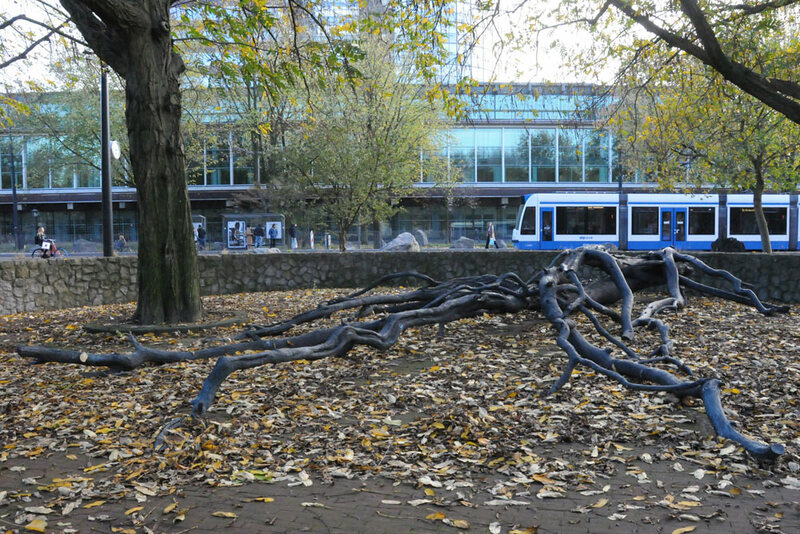 The monument is a fallen tree of bronze. 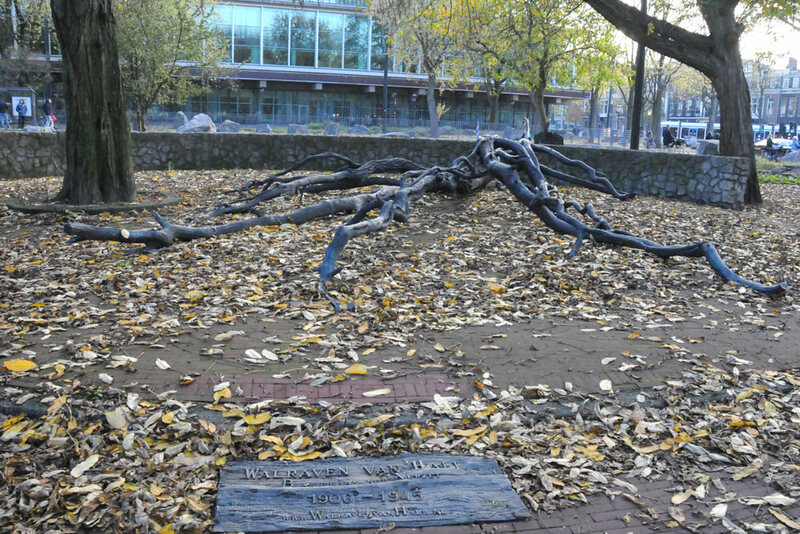 It symbolizes Walraven van Hall as a "fallen giant". 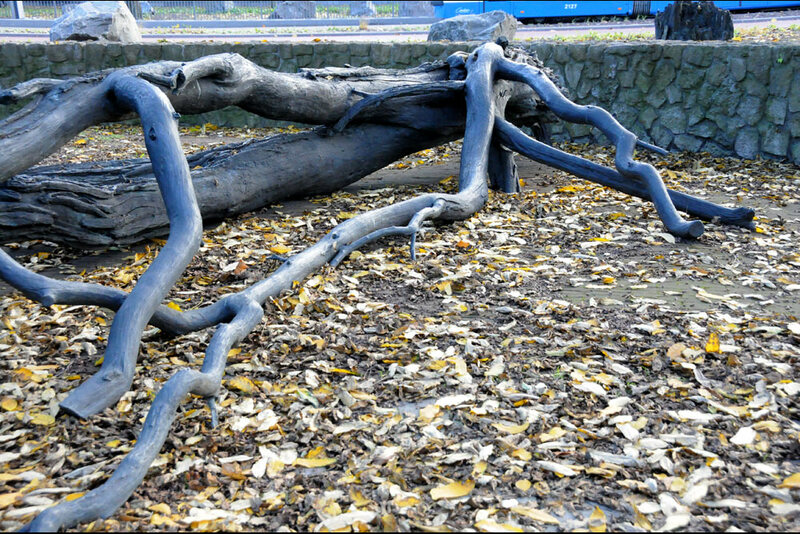 The artist is Fernando Sánchez Castillo from Spain.